My first week in OB/GYN was a busy one, for sure. Some rotations are more relaxed than others but as far as this one goes, there’s barely any time to sit down. This is why it’s been a little hard to keep up with blogging lately. My office is about 35 minutes away so by the time I make two commutes and get home, all I want to do is lay around. Studying and logging all the patients I see is the last, and I mean very last thing I want to do, but it’s gotta be done. Anyways, enough of me being dramatic and onto what’s happening in my OB/GYN rotation! On my first day, I mostly shadowed my preceptor. For me, it’s the best way to feel them out and see how they like to do things. I got a tour of the office and jumped right in to seeing patients with my doctor. All of a sudden it was almost lunch time and he said “let’s go to the hospital, I have a C-section.” Ahhhhh! I was freaking out a tiny bit inside because 1) this was my first surgical rotation and 2) I hadn’t really prepared for the steps of a C-section, other than reviewing some suturing. I’ve learned quickly that sometimes it’s best to just get thrown in there and try, even if you may not know all the answers. The highlights from the c-section were that the umbilical cord is actually very colorful (bright blue & purple), the placenta looks like something that would be found on an alien, and I actually got to suture some of the muscle & skin layers! 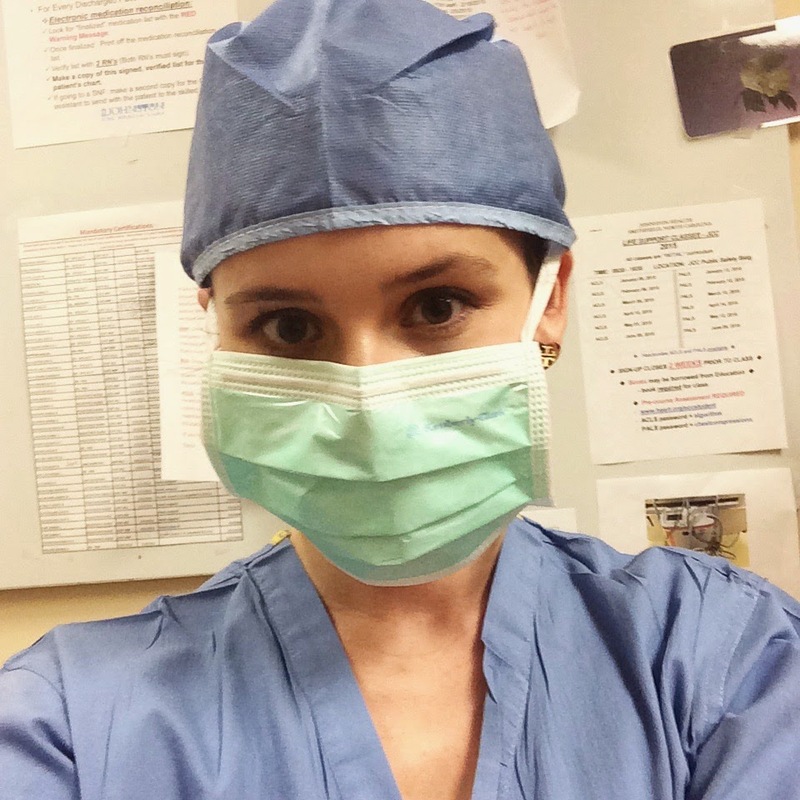 It’s a lot different from suturing in the ER- all the instruments are so much bigger and things are much more slippery- I was definitely sweating a little bit because I felt like I had all eyes on me, but it was a great experience! OB/GYN has two parts (obviously). Obstetrics is for all the future mommas out there- this includes prenatal visits, actually delivering the babies, and postpartum care. Gynecology is for all of us girls out there and mostly consists of complete physical exams, pap smears, problem visits, hysterectomies, etc. OB intimidated me at first because it’s foreign territory. I just thought the moms would be super protective and wouldn’t want a student messing with their baby, but I was wrong. Now the OB visits are probably my favorite (they’re so quick!) and I’ve learned so much. 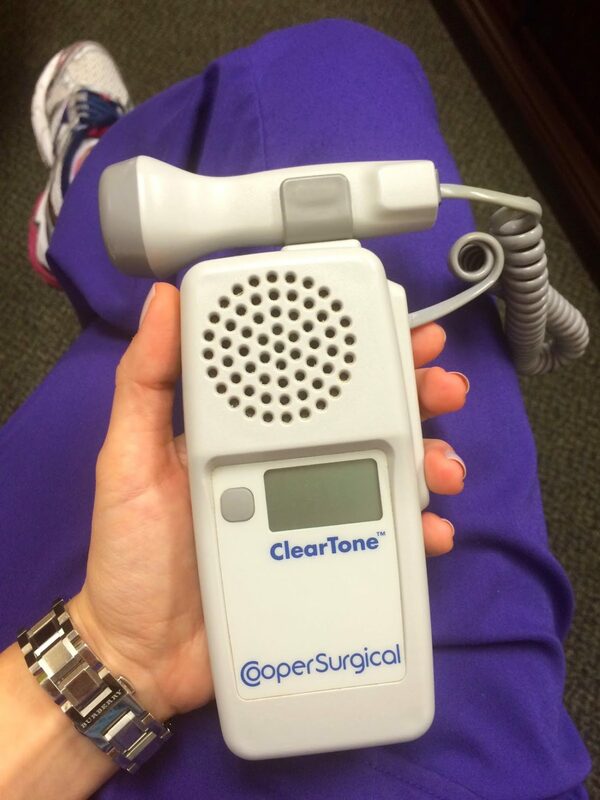 My fetal doppler is my little buddy that hangs out with me all day. When I see a pregnant patient, I always find the baby’s heartbeat with the doppler (if they’re far along enough) then give my go at the ultrasound machine. Something else that’s intimidating. My class got a very veryyyy basic understanding of ultrasounds in our training because that just isn’t one of the skills that we have to have, but you can choose to learn more if you want. 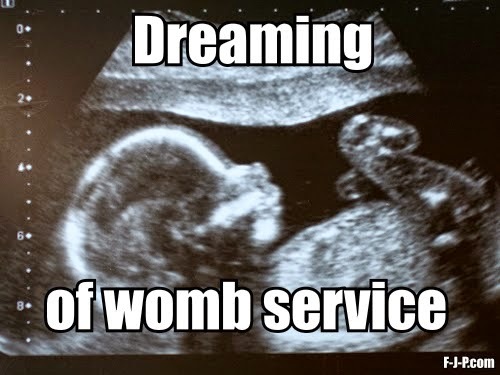 Thank goodness for ultrasound techs! I have gone from seeing nothing but complete blobs on the screen to now being able to find the heartbeat for the mom to visualize and hear. It’s pretty cool! I haven’t seen any deliveries yet, but it’s only week two so hopefully some babies will pop out any day now. Fridays are our OR days and last week I got to watch a DaVinci hysterectomy. This is a robot-assisted surgery where one surgeon sits in a corner of the room and controls two of the instruments like a video game and the other surgeon stands by the patient to assist. High tech. I didn’t actually get hands on in this one, but it was cool to see what a laparoscopic surgery looks like. We had the lights dim and the tunes going and it definitely helped time go by more quickly. Now this is for all you mommas out there. I would love to hear any funny or crazy stories that you’ve experienced at the OB office, if you’re willing to share! And I leave you with this funny cartoon. 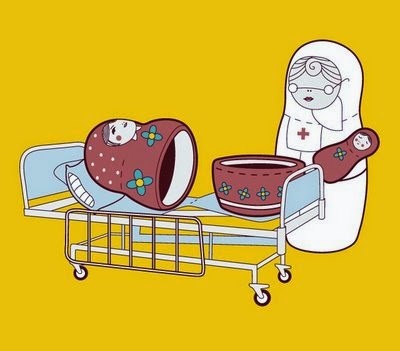 Since I’m Russian, I thought it was fitting! Girl I totally feel your pain about the long commute. Mine is 47 mins one way except yesterday when it was raining and it was over an hour so I'm so not in the mood to do anything when I get home! Glad you had an awesome experience with that C-section! What a fun rotation! I had to do a NICU rotation for my internship at had to sit in on a few births, one c-section and one vaginal and both blew me away! Can't wait to hear more about it! Have a great week love! Oh my gosh that little funny at the end is hilarious! Such a busy rotation for you but yay for learning lots of new stuff! sounds like it has been quite an adventure!!! happy for you! eeek! You know I love this post- so fun! Sounds like quite the week so far! I love these posts – it's so cool to hear what you are up to! Hope you get a delivery soon!! When I read these posts I feel like I am experiencing the whole medical world as if I am in Grey's Anatomy – ha! It is so good to hear that you are learning so much! I hope you get a delivery soon!! I let a student nurse watch/assist in my last c-section and it was kind of cool because the other nurses/doctors were explaining everything to her as it happened. I know a lot of people wouldn't have liked that but I thought it was really interesting. That little doppler is every pregnant girls favorite thing at their OB appointments. Oh man more power to you girlfriend!! I have some Labor and Delivery nurse friends and I just don't know how they do it, takes a special person. While I would never make it through any kind of medical related school, it's fun to read your little recaps! Good luck with the rest of your rotation! Hope you're enjoying this rotation! Baha! That last pic! It sounds like that would def be hard to keep your blogging schedule. I hope you are enjoying it!